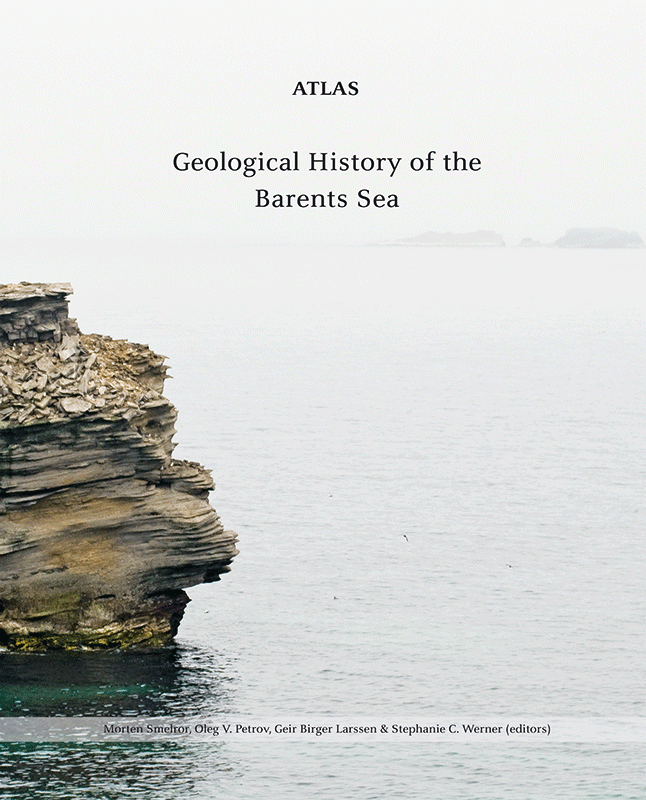 The beautifully illustrated Geological Atlas of the Greater Barents Sea, originally published in hardback in 2009, is the result of a joint project between the Geological Survey of Norway and the A.P. Karpinsky Russian Geological Research Institute (VSEGEI). Their objective was to synthesise all available Norwegian and Russian geological and geophysical data from the Greater Barents Sea, Kara Sea and Northern Pechora regions in order to better understand the geological history and prospectivity of this huge Arctic area through a series of regional palaeogeographical maps. StatoilHydro and the NPD were also partners in this project. This unique book has now been made freely available through online access and downloadable pdf. With the settlement of the Barents Sea border dispute between Russia and Norway, it will be a highly useful resource to students, researchers and industry. It starts with a summary of the history of the early Arctic expeditions and the more recent history of seabed mapping and hydrocarbon exploration of the area, before moving to the principles of gravity and magnetic surveying, the extent of available regional data and the interpretation of gravity and magnetic anomalies. A series of regional maps relate gravity and magnetic anomalies with the major sub-basins and highs of the Greater Barents Sea, and heatflow data from the western and eastern Barents Sea is discussed. Chapter 3 discusses the compilation of a regional Top Basement depth map and compares a Top Moho depth map based on isostatic residuals with one based on seismic data. The following chapter describes the plate tectonic and structural history of the Greater Barents Sea, illustrated by a number of cross-sections (usefully illustrated with combined field data), composite maps and global reconstructions. An excellent three-page pullout summarises the lithostratigraphy and tectonic history of all the geographical areas covered by this study: an essential regional simplification, as each has its own detailed lithostratigraphy, which can be very confusing on a regional scale. A small issue in the earlier chapters is that it is not always easy to relate the text to the diagrams, which may be a page or two further on. Chapters 5–22 are each an excellent summary of the palaeogeography and geological history of an individual stage, commencing with the Lochkovian and ending with the Late Neogene. The individual palaeogeography maps are clear and high quality, each supported by a page of text describing each stage’s structural history, sedimentary environments and lithologies. Potential source and reservoir rocks are summarised. Each section is accompanied by superb photographs, illustrating lithologies both regionally and in detail. Helpfully, the essential geological history and most commercially prospective lithologies of each stage are summarised in a few words at the beginning of each chapter. This Atlas is a unique regional compilation of all Norwegian and Russian geological and geophysical information on the Greater Barents Sea available in 2009. It is an excellent regional introduction to the area, especially for students, and the fact that there is now digital open access to it is a very exciting development. More recent publications have dealt in detail with the major Cenozoic uplift and erosion of the north-western part of the Greater Barents Sea (over 3,000m in western Spitsbergen), compared with the minor regional uplift of the South Barents Basin. Major uplift leads to gas expansion in existing fields, resulting in oil and gas leakage and re-migration, so very large gas fields, such as Shtokmanovskoye and Ludlovskoye, are likely to be confined to the Russian sector, in contrast with the recent re-migrated oil discoveries in the Norwegian sector. This degree of uplift in Spitsbergen is mentioned in Chapter 22, while its contrast with the uplift of the South Barents Basin can be inferred from the Basement depth map in Chapter 3, but more details on regional uplift would be potentially useful. It could also say more on hydrocarbon distribution and potential. Possibly a chapter covering recent researches will be considered in due course to update this very informative and beautifully illustrated book. As professionals we tend to become engaged in specialized fields and projects, and thus have less and less time to refresh our knowledge of general geology. Reading about the progress made and prospects of new findings in our science can also be fun. A summary of this new book from Volume 29 in Theory and Applications of Transport in Porous Media.